Is there anything more badass than a classic American motorcycle jacket? Sure, motorcycles carry a mystique no matter where in the world they are ridden, but the biker is the modern-day equivalent of a cowboy. They value the open road, freedom, and aren’t afraid of danger or a challenge. There is no brand that better embodies the “bad boy” spirit of American motorcycle culture than Schott NYC. Still run by the Schott family, now in the third and fourth generations, every piece that they produce is handmade by some of the most talented, skilled craftspeople in the world. 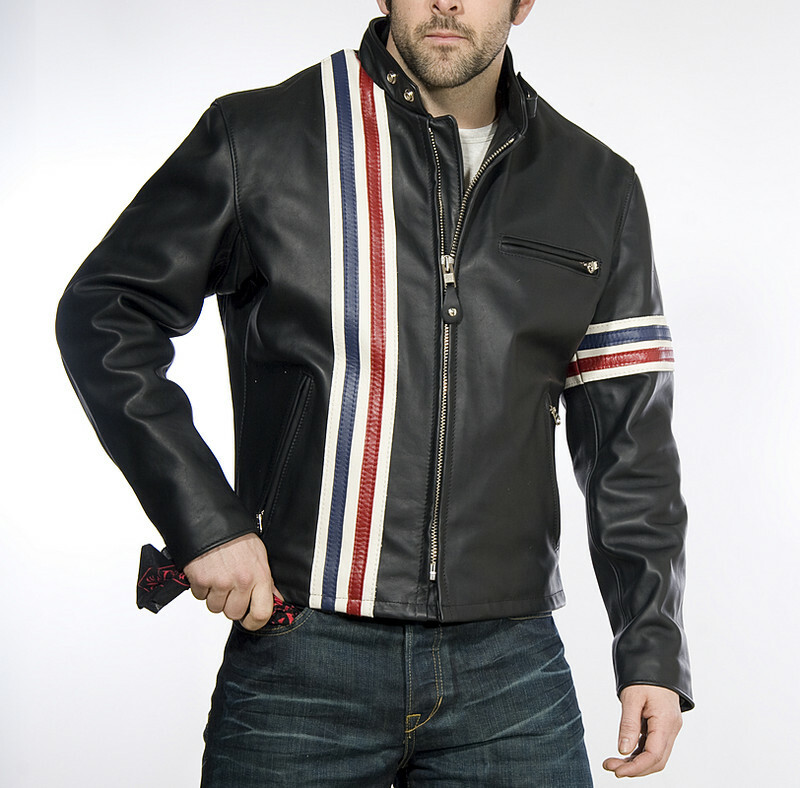 With a huge variety of styles, it’s possible for just about any rider to find a men’s leather motorcycle jacket that fits his needs, from very standard racer jackets, to the very James Dean patrol jackets, all crafted from premium materials. Made with in a huge variety of colors, with a wide range of style options, including vintage-inspired pieces that looked like they have been plucked from the back of a WWII dispatch rider, to the very sleek pieces for the modern motorcycle rider. “As American as apple pie” doesn’t even begin to cover how American Schott’s men’s leather motorcycle jackets are. Every piece has been hand crafted and infused with the spirit of the open road, drawing on a long history of rebels and renegades and weekend road warriors alike.